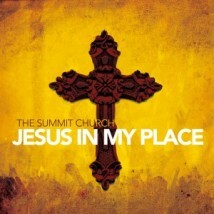 Our church released a brand new worship album this week, called Jesus In My Place. It features 13 tracks and includes several new songs, written right here in RDU by some seriously talented folks who lead us in music each week. And, Steph actually got to help with some of the “gang vocals”. You can check it out in iTunes here. You probably noticed that we didn’t spent as much time posting to “TheRieslands” in 2011. There are lots of reasons for that – most notably the ones who run around our house in Disney movie-themed pajamas every night. We also spent a good amount of time working on Stephanie’s photography business. But the new year is always a fun time to reflect on what a year has taught me, and share that with you, for whatever it’s worth. So, you might actually see a few posts from me over the next few days. They are likely to be hyper-introspective and even soppy, so… consider yourself warned. Today, I’m sharing one of my favorite songs of 2011. It wasn’t new in 2011, and it may or may not be familiar to you. The song is Dancing In The Minefields by Andrew Peterson. I’ve actually been enjoying this song, along with most of Andrew Peterson’s, for years now. But this year, for whatever reason, it seemed especially profound and inspiring to me. I once heard Mark Driscoll explain something that was somewhat eye-opening to me. He went on to point out that, even during Jesus’ first visit to Earth, he had many ‘manly’ characteristics. He was a carpenter, so likely strong and rough. He spent most of his time camping with His disciples, and the pharisees made Him so angry that he consistently mocked them to their face. But, more to the point, when He comes again, there will be nothing soft or ‘hippie-ish’ about Him. He’s coming to start (and finish) a war. Then I saw(W) heaven opened, and behold,(X) a white horse! The one sitting on it is called(Y) Faithful and True, and(Z) in righteousness he judges and makes war. 12(AA) His eyes are like a flame of fire, and on his head are(AB) many diadems, and he has(AC) a name written that no one knows but himself. 13He is clothed in(AD) a robe dipped in[d] blood, and the name by which he is called is(AE) The Word of God. 14And the armies of heaven,(AF) arrayed in fine linen, white and pure,(AG) were following him on white horses. 15(AH) From his mouth comes a sharp sword(AI) with which to strike down the nations, and(AJ) he will rule them with a rod of iron. (AK) He will tread the winepress of the fury of the wrath of God the Almighty. 16On his robe and on his thigh(AL) he has a name written,(AM) King of kings and Lord of lords. So, just a quick recap: A warrior on a horse with a sword coming out of His mouth, with a robe dipped in blood, a name tattooed on His leg, and itching for a fight with everything evil. Add an announcer and you have a scene from WWF smack-down. Put that on a flannelboard…. I’m writing this because I’ve been reminded of it lately as J has grown up a little bit. Now, clearly, we have some serious work to do. I need to teach him that there is no such thing as a good person, and that Jesus already died FOR the bad people. But he explained himself. I asked him, “What kind of bad people?“. And he said, “Like Goliath“. It’s in his DNA as a little boy. Just like Kharis gets all of her shoes out and tries them on even though nobody taught her to, J beats up imaginary bad guys with invisible swords. There’s some part of my parenting instinct that winces every time he does. I can see him at the playground getting carried away with “playing swords” with some kid who doesn’t understand the game and then trying to explain it to their parents. But the last thing I want to do is try and suppress that natural desire that God gave him to be brave, strong, and to fight against “the bad guys”. J and I were driving to the store and we were rocking my new favorite windows-down-and-radio-up song, The Lord Is A Warrior by Matt Papa. In it, he simply celebrates how God is the ultimate warrior and the ultimate Savior – both by dying for our sins and then by promising to destroy all evil that rejects His reign. It’s basically the resurrection plus Revelation 19 put to music. Theologically, my son is learning (and very excited about) God’s sovereignty and justice. 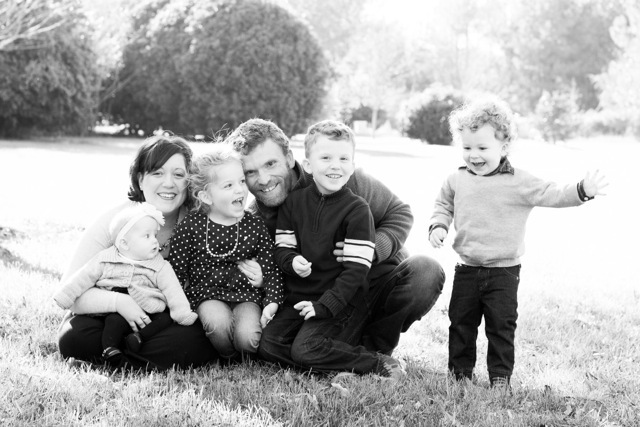 Now we just have to figure out how to communicate about grace, sacrifice, and love…. But I think most of us could use a little more of that perspective. When is the last time you went up against something scary (illness, difficult relationship, financial hardship, etc) and pictured Jesus the warrior riding in front of you to fight your battle? Kind of makes me want to break out my action figures…. Matt Papa is one of the worship leaders at our church. He just released a new single called It Is Finished. Stephanie and I are really blessed to be a part of a church body with an insane pool of talented folks. Last year alone, THREE different members of our worship team released new albums, but you won’t find them in Walmart or on the radio, so I want to make sure you know about them. You can find Sam leading worship most Sunday mornings at the Summit church‘s Cole Mill Campus. Sam has been a full-time musician since I was in high school and his newest project, From Age To Age, is a neat intersection of rocking tunes with God-glorify lyrics. You can find Matt leading worship at our brand-spanking new North Raleigh campus. Matt’s new album, Your Kingdom Come, is a great combination of Gospel-centered lyrics and high-quality, Beattles-esque music style. “Aftermath”, AKA Jonathan Edwards, can be found leading worship many Sunday mornings at our Brier Creek campus. He has a really unique sound, and his new album, The Aftertaste Of Abandonment, is one of those catchy CDs you leave in your car CD player for weeks at a time. Give these guys a try and let me know if you what you think!